Welcome to CME on ReachMD. 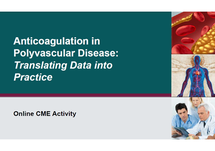 This activity titled: Anticoagulation in CAD and PAD: Translating Data into Practice, is jointly provided by the Annenberg Center for Health Sciences at Eisenhower and Medtelligence, in collaboration with Postgraduate Institute for Medicine. This activity is supported by an independent medical education grant from Janssen Scientific Affairs, LLC. 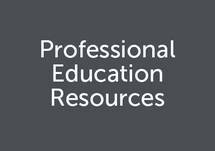 Before you begin this activity, be sure to review the faculty and commercial support disclosure statement, as well as the learning objectives. Your faculty moderators are Dr. Jeffrey Weitz and Dr. Roxana Mehran. My name is Roxana Mehran. I’m an Interventional Cardiologist, Professor of Medicine and Population Health Science at the Icahn School of Medicine at Mount Sinai Hospital in New York. 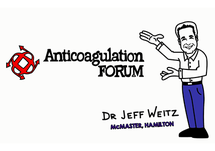 I’m Jeffrey Weitz, Professor of Medicine and Biochemistry at McMaster University in Hamilton, Canada. I’m Manesh Patel. I’m Chief of Cardiology, Co-Director of the Heart Center at Duke University in North Carolina. I am Faiez Zannad. I am Professor of Cardiology and a Heart Failure Specialist, working in the University of Lorraine in Nancy, France. Hi, I’m Alex Spyropoulos. I’m Professor of Medicine at the Zucker School of Medicine at Hofstra/Northwell. I’m System Director of Anticoagulation and Clinical Thrombosis Services of the Northwell System in New York. So, without further ado, I’m going to turn it over to Manesh Patel, who’s going to talk about the COMPASS trial in perspective. Manesh? Thank you all for coming to this program, and hopefully you’ve had a good American Heart Association meeting here, and I wanted to go through this program and put the COMPASS trial into perspective, and as you think about putting the COMPASS trial in perspective, you might also ask yourself, “Well, how am I going to put it into perspective of lipid therapy, EPA? What’s the story with the fish oil stuff I’ve heard about? What’s going on with the blood pressure guidelines?” So, let’s think about the perspective of what can we do to make our patients do better. It’s always important to remember disclosures. I just want to make sure you can see my relevant disclosures here. So, I have three messages for you. The first, I think, Dr. Weitz has also nicely, as a pathophysiologist and sort of a hematology perspective, shown us the thrombotic pathway, and so he has already highlighted for me, maybe the word shouldn’t have been “stronger,” maybe it should have been “more potent,” but, you know, we’re in the states, so I thought “stronger” was a better word. Stronger antiplatelet therapy does not improve outcomes. Now, let me just say that again. More antiplatelet therapy can improve outcomes, but it’s going to be dependent on what the indication is, and I’ll go through that for you, but in general, that’s an interesting theme that, at least I’ll just say, my cardiovascular training I hadn’t thought about. 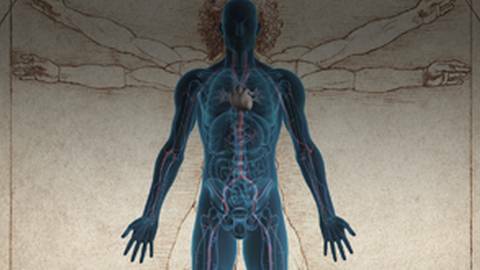 I’ll go through the COMPASS trial and then an area of interest of mine – peripheral artery disease/polyvascular disease. I’ll talk about that. 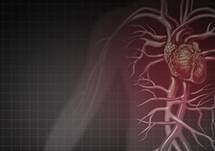 So, you’ve already heard about the burden of coronary artery disease or atherothrombotic disease, so here we have what I call, not just in the United States but worldwide, “the big three,” and what’s interesting about the big three is, as you’ve heard, they cause most of the morbidity and mortality. So, however atherosclerosis gets put down in any vessel, the final common pathway is thrombin generation and, finally, a thrombotic event, whether that’s a local thrombotic event, an embolic event or coagulation, and an antherothrombotic event will be interesting. What’s also interesting is here you don’t see the incidence of PAD. Although geri folks now worldwide have shown us it’s about 200 million people, we’re always trying to figure out how many of these patients actually exist. It’s also recognizing an important worldwide, in Southeast Asia and even in Africa and other parts of the world, these diseases are happening at a younger and younger age. This is all of the studies of interest with regards to antithrombotic therapy with coronary artery disease, and I grouped them on the left side based on sort of the most recent information. So, if you look here on the slide, you see Monotherapy versus Placebo, so that’s the aspirin data; Monotherapy versus Monotherapy for Antiplatelet Therapy; Dual or Triple Antiplatelet Therapy versus Monotherapy; and then Anticoagulation Therapy versus Aspirin. And why did we do it that way? Well, we wanted you to go through and think about, “Well, what have we learned?” Aspirin versus Nothing, One Antiplatelet versus Another Antiplatelet, More Antiplatelet Therapy, and then what I’ll call the Dual Pathway, and this is before COMPASS. So, in stable coronary artery disease, from the meta-analysis, from the antiplatelet trials, we knew that aspirin does have an effect across 87,000 patients and that that rate of reduction in coronary artery disease was 0.79 hazard ratio but an increase in bleeding. And then from the CAPRIE trial, we know there’s a small but significant improvement in that outcome, about an 8% relative improvement, a less than 1% absolute improvement with clopidogrel compared to aspirin, and CHARISMA, TRA 2P, or PEGASUS has tested two drugs versus one, and I’ll just say, when you think of those two drugs versus one in coronary disease, there is some MACE reduction, but there’s a bleeding price to pay, and none of those trials showed a mortality benefit or a cardiovascular death benefit, and then the last one is actually something worth remembering – the WOEST trial where warfarin was compared with aspirin to aspirin alone and actually reduced cardiovascular events with a hazard ratio of 0.71. It’s just bleeding was too much to handle. So, that leads to our current stable ischemic heart disease guidelines, which is important that this is now for patients with coronary disease, not primary prevention – class 1A to use aspirin, class 1B to use clopidogrel – and it is interesting because from the guideline perspective, a head-to-head trial showed that clopidogrel was better, but it was just one trial, and then, of course, treatment with aspirin and clopidogrel, dual antiplatelet therapy, may be reasonable in certain high risk patients with stable ischemic heart disease, and it’s a IIb recommendation, level of evidence B. I won’t go deeply into it except to say DAPT and other trials have said we have to balance that bleeding versus efficacy risk, and Roxana and others are doing studies about monotherapies here after stenting and dropping the aspirin, so we’ll learn more to come. What about PAD? So, same sort of scenario – Monotherapy versus Placebo, Mono a Mono, Dual Antiplatelet versus Mono, and then Anticoagulants. So, Monotherapy versus Placebo – interestingly, the meta-analysis for PAD, the hazard ratio isn’t as powerful as we would have thought it is there, but it’s evident, but the meta-analyses have said that it may not be as good. And then for CAPRIE, again, the CAPRIE was clopidogrel versus aspirin, I’ll show you some of that data in a second, this subgroup looked nice, beneficial. I participated in the EUCLID trial, ticagrelor versus clopidogrel. You would’ve thought a stronger or more potent antiplatelet agent, mono versus mono versus clopidogrel in PAD. Outpatients, 14,000 patients, hazard ratio is 1.02. It was a neutral trial. And then if you think about clopidogrel and aspirin versus aspirin in the CHARISMA trial, again, there was a trend but not significant, and then vorapaxar, of course, on top of aspirin, is another agent. Interestingly here, the WAVE trial didn’t show a reduction in ischemic events. It showed a three-and-a-half-fold increase in bleeding, so the same message. Aspirin was better than nothing when we first got back to both coronary disease or peripheral artery disease, clopidogrel a little bit better than aspirin, two versus one, you’ve got to balance risks and benefits, and then when you get to warfarin, well, the bleeding risk was too high. So, that data is here. This is a little hard to see. Aspirin and PAD, the meta-analysis, you can see the hazard ratio is on the left side of the line but not by much. This is clopidogrel CAPRIE trial. The curves do separate, but the event rates are 5.8 versus 5.3, so half percent absolute risk reduction was significant. This trial is now over 20 years old. This is CHARISMA. Notice that it’s a similar type of reduction but didn’t meet statistical significance. And then EUCLID, which I showed you, ticagrelor in green, clopidogrel in blue, that we were able to present a few years ago. In the PAD population again, significantly no difference. That leads to the PAD guidelines, which say class 1A and antiplatelet therapy, aspirin or clopidogrel is recommended for patients with peripheral artery disease. After that, everything is IIb, two drugs with antiplatelet aspirin and clopidogrel in patients who have had a revasc or not. They have to make a bunch of balancing decisions. So, this gets us to this diagram, which is another way what I often refer to as the current cartoon of how we think about atherothrombosis, and it is the biology, but what’s really interesting is for many years we spent our time on the right side of this. There’s the platelet, which is clearly one of the enemies in cardiology, right, and in cardiovascular medicine and thrombosis. We have clopidogrel, prasugrel, ticagrelor, vorapaxar, cangrelor, aspirin working through thromboxane A2, a variety of agents trying to increase the inhibition of antiplatelet therapy, but even after you do that, the final common pathway still is thrombin generation and a platelet-fibrin clot. So, one might imagine that these Xa inhibitors or dabigatran, you can see, these agents that work on the other side of that pathway, if you can get the right dose, if you can get to the right place, this dual pathway might have an effect, and the events you would look for, as you can see in our, our central illustration was a woman with atherosclerosis here, you can see that her brain might have a stroke; her heart might have a heart attack if there’s thrombosis; then, of course, the limb might have a limb event. So, that leads us to the COMPASS trial. I was not a steering committee member, but we were a site. We participated in this trial. I’ll tell you when the trial started I thought it was extremely ambitious. I thought, “How are we going to do better than what we already do for patients with coronary disease?” Twenty-seven thousand patients were randomized to one of three – aspirin 100 mg daily, rivaroxaban 5 mg b.i.d. trying to avoid the aspirin, or rivaroxaban 2.5 mg twice a day plus aspirin. This regimen came from ATLAS and other trials in coronary disease. The expected follow-up was planned to be four years. These were patients with stable coronary disease, peripheral artery disease. Let me tell you what I mean by that. They had multi-vessel coronary disease, they were over 65, or I call it CAD plus. They had coronary disease plus diabetes, they had coronary disease plus PAD, they had coronary disease plus renal dysfunction or other areas of disease, and it’s important to recognize, and I was shocked when I heard this, too, the DSMB did two looks at this, one where they saw a significant reduction, said, “Well, sometimes you just catch people on a good night, and you have to see if the curves are going to come back closer together.” They stayed separated, and they recommended stopping the trial early after about 20-some months of follow-up for an overall mortality benefit, and if you look at this curve, you see the black curve, which is rivaroxaban plus aspirin, immediately separates and stays separating and looks like it is getting farther away from aspirin, and then the blue line, which is the 5 mg of rivaroxaban, is overlaying aspirin until about a year, year-and-a-half, and then it starts to separate because the trial had stopped early, and that happens sometimes. We’ll never know if 5 mg b.i.d. itself would have been beneficial. Most of which you’ll hear me talk about now is the, what I’ll call the dose that’s been shown to help patients with chronic vascular disease. I’m not going to call it stable because these patients aren’t stable. Look at this event rate, you know, 8% at two-and-a-half to three years. If I saw a patient in clinic who I thought was doing okay, and I said, “Look, you have a 1 in 12 chance of being dead in three years,” they might not think that’s a very stable situation, yet I’m treating them today with aspirin. These are elevated risk patients. So, these patients had the trial stopped, and the dose of this chronic vascular disease is 2.5 b.i.d., and if you look down here, this is the event rate. So, aspirin plus rivaroxaban, the event rate of CV death, stroke, and MI was 4.1%. Aspirin alone was 5.4%. That’s a hazard ratio of 0.76. That’s a 24% risk reduction and a significant reduction. These are the individual components of the primary endpoint for COMPASS. Now, first and foremost, there was a reduction of 22% with a hazard ratio of 0.78 in cardiovascular death, a surprising reduction in stroke, I’ll say, of 42%, a hazard ratio of 0.58. I know the absolute number is 1.6 versus 0.9, but that’s a pretty significant event, and again, a hazard ratio of 0.86 in a reduction in MI, and many people when they see this, they go, “Manesh, why didn’t it reduce MI?” Well, of course, we’re doing a lot of things to prevent MI in these patients, and on top of that, this trial was stopped early. So, remember, some of the CV death and other things that are driven by atherothrombosis that we may not always understand, it’s still a pretty robust finding. And then if you looked at ischemic stroke, myocardial infarction, acute limb ischemia, I’m going to come back to some of the limb events, or death from coronary heart disease, again, hazard ratio of 0.72, overall 1% absolute risk reduction, present again if you looked at ischemic stroke, myocardial infarction, acute limb ischemia, or CV death, and then if you look at death from any cause, the hazard ratio is 0.82. The absolute risk reduction is around 0.7, 3.4 versus 1.4. This is not adjusted for multiplicity, which is a statistical term for saying if you’re going to test it multiple times, you had to have a lower p-value if you got to the end of the trial. This trial was stopped early, so at least my clinical interpretation is, that’s a pretty powerful finding, and I think it’s having an effect on all-cause mortality. What about patients who had coronary disease versus peripheral artery disease? I’m going to spend some time coming back to peripheral artery disease, but notice that, again, they both had a pretty similar hazard ratio, 0.74 versus 0.72, but notice the aspirin arm of the PAD patients – 6.9% event rate versus 5.6, so again, a higher risk cohort, and I come back to that as when you start to say, “Okay, am I going to use this therapy? I can do so many things. Who am I going to treat first?” I’ll come back to that in a sec. We would be, of course, remiss if we talk about ischemic events and we didn’t talk about bleeding, the quote-unquote, “There’s no free lunch.” You always have to balance things right. So, remember, this is the ISTH major bleeding. Rivaroxaban plus aspirin was 3.1%. Aspirin alone was 1.9%. So, it tells you that, in my mind, that that bleeding indices is a little bit sensitive because I take care of a lot of patients where I give them aspirin. They’re not bleeding at 2%, right? They’re bleeding at some rate. Maybe this is the bleeding that’s major bleeding plus maybe some hospital or at least seeking medical attention. Nevertheless, that is an increase of 70% with a hazard ratio of 1.70. I am reassured that there is no real significant difference in fatal, nonfatal ICH, or other fatal bleeding, but that is the risk of the therapy that’s going to be balanced. So, what about peripheral artery disease patients? What do we know about them? Well, I’ll just get on my soapbox for a second. This is an analysis we did from Denmark, now older, but there’s more recent data from Jeffrey Berger that’s similar, and why do we do it in Denmark? Because in Denmark, they actually know who gets aspirin. They have a whole national pharmacy, so they have aspirin prescription. So, if you take patients with coronary disease and see the rate of patients with coronary disease getting aspirin is 1, then the rate of patients with PAD getting any antiplatelet therapy was 0.4, 60% less. Forty percent of the patients that you would assume could get an antiplatelet agent for PAD in Denmark were getting it. What about PAD plus CAD? It’s 0.8, and it’s not just antiplatelet therapy. The next line is statins. If you have coronary disease and PAD/CAD, you’re getting a statin. You’re 40% likely to get a statin if you have PAD. Now, this is ACE inhibitor, again, a drop-off. So, I’m all for thinking about new therapies, but I want to make sure we treat people with the stuff we know how to treat them with first, and this is obviously an example of that. This is something I do because I’m from North Carolina. This is the amputation map of the United States, unfortunately. So, this is where, by geographic location, you can lose a limb, and it’s based on where you live, and this is also present worldwide. It’s also a map of where there’s unfortunately hypertension, diabetes, obesity, and all the other things that we want to make better cardiovascularly, and so we’re starting a thing in our own local area in the state where we call, “Change the Map.” We want to change the map for cardiovascular disease. But what if you did get an amputation? This is Medicare data from our group here. Your one year mortality if you get an amputation and you’re in Medicare is 48%. So, if a patient in the United States gets an amputation, the chance they’re dead at the end of one year and they’re Medicare is 48%. This data from (…) in our group shows that 30% of patients who have an amputation do not get an arterial test prior to the amputation in the United States. Thirty percent of people who have diabetes come from these areas where they’re low socioeconomic status. They come in with a toe ulcer, gangrene, other things. They get an amputation. There’s no evaluation of arterial disease. So, how does COMPASS PAD help us? These are the patients that were enrolled in COMPASS PAD. As you can see, they’re a fairly large number of patients, up to 7,000-some patients with PAD, and they came in four big groups – Prior Revascularization, Aorto-fem, Lower Extremity Bypass, IN for Inguinal Revascularization. A history of claudication and a lower ABI or a prior limb or lower extremity amputation. There are also patients with carotid disease and then patients who had coronary disease that was symptomatic and a lower ABI. These are what we now call “major adverse limb events,” so having to go to the hospital because you needed an ischemic revascularization, you’re having a limb event that was dangerous. The rate of events with rivaroxaban plus aspirin is 1.2%. The rate with aspirin is 2.2%. That’s a 37% reduction in a limb event, and even though small numbers, you know, 5 8, 5 and 17, not very large number of amputations in this big group, it was stopped early, a 70% reduction in amputation, and when you put it together, male plus major amputation, a significant reduction. Today when I see patients with peripheral artery disease, I have not had the opportunity to tell them, if you take this pill, you will have less limb loss risk, less chance for revascularization, repeat revascularization. So, I just come back to this. We’ve spent a lot of our careers trying to add more antiplatelet therapy on, and that is needed in the acute scenario, often when we stent, often when there is a coronary artery, often in the ACS scenario, but in chronic therapy, more antiplatelet therapy has not been distinctively shown to be so far out of benefit with the ischemic benefit that the bleeding hazard can be managed. Now with the COMPASS state, I’m encouraged to at least say it looks like a whole new era of dual pathway. Some antithrombotic coming with 2.5 of riva plus aspirin might be beneficial. One word of caution – we think of these agents often the same, and they do help us in many similar indications, but here in chronic vascular disease, I want to be very careful that no one mistakes the drug or the dose. Stroke prevention with rivaroxaban is 20 mg or 15. 2.5 b.i.d. on top of aspirin for chronic vascular disease with no AFib is a quarter of that dose. So, if you’re using apixaban at 5 mg, don’t use 2.5 mg in a chronic vascular indication. I know it sounds silly, but I can see it happening, and remember, that is not anywhere near the same dose, and it hasn’t been studied. So, what are my conclusions? And I appreciate you all coming here and paying attention as we go through. Where are we with the emerging world of CAD/PAD, and how am I going to put it into practice with lipid therapy and other things? Atherosclerosis is a chronic disease that affects the entire body, so carotid disease, cerebral vascular disease, coronary disease, lower extremity disease leading to MIs, stroke, lower extremity revascularization, amputation. Depending on the disease burden, you may get a different benefit. It usually presents itself with the final common pathway of atherothrombosis. For now, the first time we’ve got an agent that has at least balanced that dual pathway inhibition, rivaroxaban b.i.d. at 2.5 mg plus aspirin, which reduced not only major cardiovascular events, not only major adverse limb events, but also amputation. So, who would I start it in if I was going to actually treat because there are so many patients who have CAD/PAD? I would say start with patients who have polyvascular disease, coronary +, carotid lesion, lower extremity atherosclerosis, renal dysfunction, diabetes. We’re going to hear about some heart failure things. There’s opportunities there. I’ll also just tell you that there’s an ongoing post-peripheral vascular intervention trial called VOYAGER that will inform us more in the next few years. Thank you all for your attention. Let’s drill down on the COMPASS trial results and try to better understand which patients should be considered for dual pathway inhibition, and I’m going to start with you, Manesh, to talk about the PAD population. Which PAD patients would you choose for dual pathway inhibition therapy? Thanks, Jeffrey. I mean, I think the intent would be to think about PAD patients that were in COMPASS and then think about that risk-benefit, recognizing that almost all the patients got some benefit. So, the first thing to think about is that the PAD patients in COMPASS were symptomatic PAD patients, so not screening for PAD, not identifying patients that may not be symptomatic. Now, there is a caveat. The caveat is those patients with coronary disease that are symptomatic that have known PAD, that’s a polyvascular patient, or the PAD patients, about 60-some percent that had coronary disease, those are polyvascular. So, the first group of patients I would absolutely treat are patients with peripheral artery disease, but really patients with multivascular disease. So, carotid disease and coronary or coronary and PAD or PAD in different locations would make me think those are the highest risk. Okay, and the asymptomatic PAD-alone patient – not a candidate? And what about the PAD patient that you’ve just done an intervention on? When do you…? …treat them with this? Yeah, it’s a great question. An area of unknown in vascular medicine right now is, after a revascularization procedure, which I perform, other people perform, we often use dual antiplatelet therapy with not a lot of data, but we use it, and so patients in COMPASS were excluded if they had dual antiplatelet therapy. So, the way I would think about this is, if there’s a PAD patient for which you think there’s a clinical indication for dual antiplatelet therapy after revascularization, don’t include them, but once you’re past that period when that patient is at risk, they could be included. Okay. Faiez, let’s move to the patients with coronary artery disease. Which patients with coronary artery disease would you consider for dual pathway inhibition therapy? Manesh has already told us the ones with associated PAD or with associated carotid artery disease, the polyvascular disease, they definitely would, but if they have CAD alone, which patients should we consider for dual pathway inhibition therapy? Well, all of them, by the way, because they’re all at high risk from embolic event, and if they evolve to heart failure and they are in the chronic stable condition of heart failure, they benefit equally to a patient with no heart failure. It’s only when they got hospitalized for heart failure where the risk is elsewhere, the risk is related to pump failure and, therefore, the benefit from rivaroxaban in that case is just minor as compared to the risk they are which is related to heart failure worsening and death from heart failure. So, the CAD patient with heart failure, the CAD patient with renal impairment, CAD patient with reduced ABI would be another patient. Any others that we should think about? I think there’s obviously the polyvascular patient and then thinking about the CAD patients with diabetes I think is an important subgroup because the diabetic CAD patient, I think about it as, they already have other vascular disease, maybe it’s microvascular, the kidney is a vascular bed, polyvascular, and then heart failure that might be chronic but not acute. I might also add that the CAD patient in whom you believe is a high-risk patient as you just went through the high risk, and I also would consider those patients that are post-MI. Many, many of our patients who are post-MI, as long as they’re in COMPASS, there were a lot of post-MI patients who were included as long as they were not on dual antiplatelet therapy. So, they had some history of coronary disease. If you actually take history of these patients, they’ll say, “Oh, I had an MI. I was hospitalized for an MI eight years ago, and right now I’m just taking aspirin on a daily basis,” and that is a COMPASS patient, especially if they have diabetes, CKD, polyvascular disease. So, I think it’s a lot more patients than we think. Yeah, I agree, and I think the only other thing I would add is that, certainly advancing age. So, we didn’t spend a lot of time talking about over 65, and that’s not even elderly these days, but just in the trial it was over 65, and one might imagine an older patient with multi-vessel coronary disease, history of MI, would be again at a greater risk. Right, and don’t forget that many of these conditions are associated with platelet hyperreactivity, and the most potent platelet activator is thrombin. So, you can give the aspirin, but add the low dose rivaroxaban to really prevent the thrombin generation as that platelet activator. And, Roxana, just to wrap things up, you started – when would we want to start dual pathway inhibition in our patients with coronary artery disease? 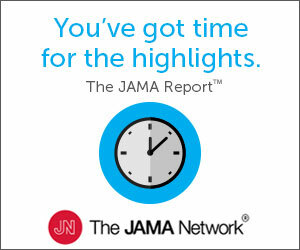 Clearly, when they’re getting dual antiplatelet therapy, it’s a no-no, but that’s going to be for probably a year in most patients, but at a year, we have a choice – continue dual antiplatelet therapy, switching to dual pathway inhibitor therapy, perhaps even going to ticagrelor or, you know, something like that. So, how do we make that choice? So, I mean, I think, you know, based on what we saw in COMPASS and, you know, we’re talking about PEGASUS. A PEGASUS patient is a post-MI or a patient with other risk factors that would get ticagrelor perhaps or a longer treatment versus a COMPASS patient. Both of these patients are, you know, could be, they could get either one, and for me, personally, it’s about mortality. It trumps everything. There was a significant reduction of mortality that made the DSMB stop this study, and it was significant, quite significant, with that 2.5 mg p.o. b.i.d. with aspirin in these patients, and so, in my mind, when I’m switching off and I’m thinking, okay, I always assess the bleeding risk, always think about that because we don’t really know what tradeoff you’re going to get if you switch from aspirin/clopidogrel to aspirin plus rivaroxaban. I’d love to see that. I’m hoping that in the future we will have a study like this to try to understand the tax that we’re going to pay, but we just know that if we get that patient on 2.5 mg p.o. b.i.d. of rivaroxaban plus aspirin, the dose that was used in COMPASS, we will see a reduction in major adverse clinical and limb events significantly, and, in fact, we will have a reduction in mortality and in stroke, and I think those are really important, probably the worst events that you don’t want to happen. Right. Alex, you’ve got all these studies, and you’ve been in this VT prevention field for a long time. We know that, using risk assessment models, we should take the high-risk patients and give them in-hospital thromboprophylaxis, no question about that, but with what we know today, which medically ill patient should we choose for extended thromboprophylaxis and what agent should we use to provide that? Well, I think the easy answer to that is, the only agent that’s approved by the FDA at this point is betrixaban. So, we know that low-molecular heparin in the EXCLAIM trial showed an excess bleeding at some points, and also it was a very difficult trial to interpret from a clinical perspective. The trial inclusion criteria changed about halfway through the trial, so that became very difficult agent to use in the long term, especially because of the potential bleeding profile, and as I mentioned, rivaroxaban has potential in this field. I think the analysis that we presented at the HA meeting this weekend was important because the whole thing about Magellan was not on the benefit side, was on the risk side. So, the study would have met FDA scrutiny just in terms of meeting its co-primary efficacy endpoints. However, it showed an increased bleeding tendency. What we showed in that analysis is that if we, again, took away 20% of patients by using the MARINER exclusion of criteria, all of a sudden that risk-benefit was very, very beneficial and favored rivaroxaban. So, I think it’s fair to say that rivaroxaban remains a potential agent to use, and again, we’ll have to wait to see what the regulatory authorities interpret that. Thanks, Alex. Well, thank you very much, and I think we’ll end now. The preceding activity was jointly provided by the Annenberg Center for Health Sciences at Eisenhower and Medtelligence, in collaboration with Postgraduate Institute for Medicine. To receive your free CME credit, be sure to complete the post test and evaluation, by visiting ReachMD.com/Medtelligence. What do COMPASS and other anticoagulation clinical trials tell us about treating polyvascular disease? A panel of experts shares the findings. This activity has been designed to meet the educational needs of Cardiologists, Interventionalists, Internists, NPs, PAs, and other allied healthcare professionals involved in the care of patients with polyvascular disease. The Annenberg Center for Health Sciences at Eisenhower designates this enduring material for a maximum of .50 AMA PRA Category 1 Credit(s)™. Physicians should claim only the credit commensurate with the extent of their participation in the activity. Roxana Mehran, MD: Consulting Fees (Institution): Abbott, Spectranetics; Consulting Fees (Dr. Mehran): Boston Scientific, Cardiovascular Systems, Siemens, Medscape; Consulting Fees (Spouse): The Medicines Company, Abiomed; Contracted Research: AstraZeneca, Bayer, Beth Israel Deaconess, BMS, CSL Behring, Eli Lilly/DSI, Medtronic, Novartis, OrbusNeich; Ownership Interest: Claret Medical, Elixir Medical; Other: DSMB-Watermark Research Partners, Exec. Committee-Janssen and Osprey Medical. Manesh R. Patel, MD: Consulting Fees: Bayer, Janssen, AstraZeneca. Alex C. Spyropoulos, MD: Consulting Fees: Bayer, Janssen, Boehringer Ingelheim, Portola; Contracted Research: Janssen, Boehringer Ingelheim. Jeffrey Weitz, MD: Consulting Fees: Bayer, Boehringer Ingelheim, Bristol-Myers Squibb, Daiichi-Sankyo, Ionis, Janssen, Merck, Novartis, Pfizer, Portola. Faiez Zannad, MD, PhD: Consulting Fees: Janssen, Bayer. The Medtelligence planners and managers have nothing to disclose. There are no fees for participating and receiving CME credit for this activity. During the period November 15, 2018, through November 15, 2019, participants must read the learning objectives and faculty disclosures and study the educational activity.